Max Lucado says of this book: ""Lynn Anderson has some words for your heart. He will do more than help you deal with people -- he will help you love people. His model? The source of love Himself: Jesus of Nazareth."" For Jesus, people are number one. For authentic followers of Jesus, people become top priority as well. Based on Jesus' "creative encounters" with the people he met throughout the Gospel of John, this powerful book will teach you how to treat each individual you meet with the creativity and love exhibited by the Master. 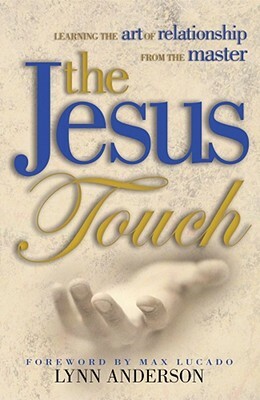 Walk through the days of Jesus' life and witness heaven reaching down to humanity, Immanuel among the earthlings, the Christ amidst the commoners; "Jesus touch people."